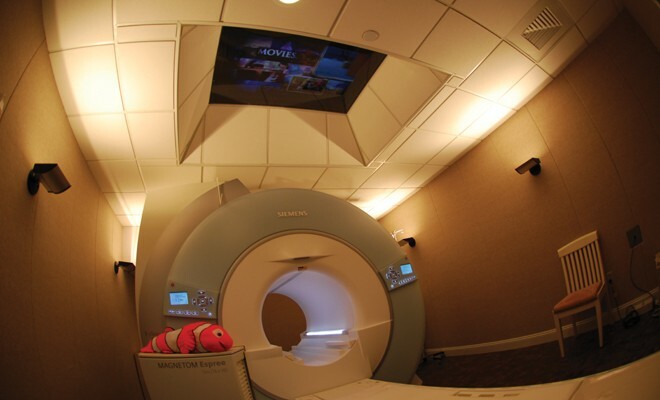 MRI Consultants installed the first 3T MRI in Delaware in 2007—and we’ve been providing Delaware with the most advanced MR imaging ever since. We recently added a second 3T MRI in Lewes. 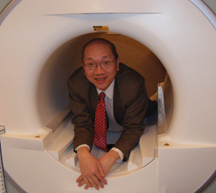 If you want to know about 3T MRI you should ask Dr. Philip Chao who has 30 years experience. I am always frustrated that doctors and patients don’t take 2 minutes to call me to ask me about 3T MRI and how it might help you. I see examples every day of why 3T MRI or a well equipped 1.5T MRI are important. The average patient or doctor, however, may be completely unaware of the difference 3T can make. When a patient is moving, a scanner that has BLADE installed on it CAN ELIMINATE MOTION ARTIFACTS. Without this, the patient’s movement can render your study useless. Many fail to understand that an MRI specialist can get information from this so-called routine study when other doctors fail. We had two patients yesterday come through the office that only we could have done. The first was a 425 lb patient who did not fit in anywhere else. We found a pituitary tumor and also two small strokes and polyposis of the maxillary sinus. Anywhere else they would have just given up. We used BLADE. The second was a nice gentleman who just could not hold still due to mild claustrophobia. Again, using BLADE we got diagnostic images. At 3T you can use another advantage of 3T – it’s remarkable speed. In that same patient who could not hold still, we used BLADE – the 3T scanner produced the best images because it was so fast. One T1W series took only 20 seconds. The T2W series took 2 minutes. These same sequences at 1.5T take 4 to 5 minutes. Where you have your study done matters. We ask you to look, ask questions and choose. Another advantage of 3T is simply that you can see more clearly with higher resolution and higher contrast resolution. We had a patient who had 3 brain MRI studies elsewhere, none of which showed why she was still having vertigo after several head concussions. Our 32-channel 3T scanner picked up the hemorrhage in the brainstem that was causing the vertigo. An old professor once told me when a technology comes along and can see what others cannot see, it eventually will win. This is true of 3T MRI – it simply can see better. But many people still do not understand how much better the pictures are. I only ask that you question and look it up on the Internet, because 3T MRI is better for breast cancer detection. It is better for brain tumor imaging. It is better for MS imaging. It is better for all musculoskeletal imaging. In the spine it can often find smaller lesions in the cord or on the nerve roots. This has been our motto since day 1. 3T MRI, twice as good! I review many other MRIs done on slower and less capable scanners. It is remarkable how bad some of the studies can be. In this day of increasing costs, does it make sense to do an MRI on a less capable scanner when you have a 3T MRI or a 1.5T scanner with BLADE? I know of hundreds of patients whose diagnosis was missed simply because one of these two elements was absent in their MRI study. In addition, we use the safest MRI contrast in the world. Because we care about the patient we use the lowest dose possible with the more stable agents. This means that none of our patients have ever gotten NSF (nephrogenic systemic sclerosis) in 30 years of MRI practice. We care about the patient –ask about why our scans are safer and better. You can ask us yourself. Call Dr. Philip Chao at 302 295-3367. Asking questions is free. Why not ask?